This year marks an especially meaningful Valentine’s Day in Australia. As of December 2017, marriage equality is now law, a mighty victory for the LGTBQ community. 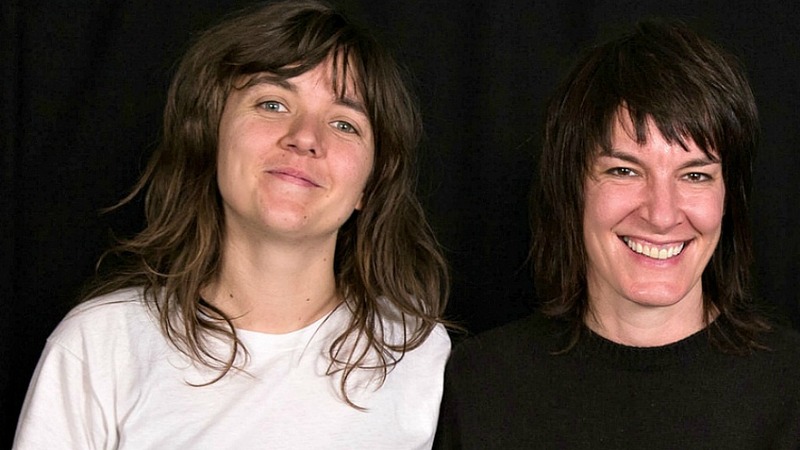 For musicians, activists, and longtime partners Jen Cloher and Courtney Barnett, who call each other "wife," but didn't have the right to legally marry in their own country until now, it's a very sweet triumph. The human right to marry who you love is woven throughout Cloher’s introspective self-titled fourth album too and Barnett serves as a muse for many of her songs. Cloher and Barnett have been touring the world together lately: Cloher opened for Barnett and Kurt Vile last year in North America as that duo toured their collaborative album, Lotta Sea Lice. This winter, Barnett is part of Cloher's band on the road, along with drummer Jen Sholakis and bassist Bones Sloane (they've got a gig in Manchester, England on Valentine's Day). Following that tour, Barnett heads out again with her own band this summer, supporting her forthcoming second album, Tell Me How You Really Feel, due out on May 18. In late January, Cloher came to Studio A for an FUV Live session which will air on February 27. That visit offered a rare Stateside opportunity to talk with this talented couple together, so we also had a brief conversation about the music Cloher and Barnett share and love as a couple, from Television to Dolly Parton.